Another newsletter from yesterday’s inbox. NEWS&NOTESThe purpose of each weekly issue is to provide information and to engage members in the diverse opportunities and activities of your association. TWO COPIES OF TECH TRENDS. A mailing error gave all AECT members two copies of Tech Trends, July 2017. Share the extra copy to spread the good news of Tech Trends and AECT! SEEKING MENTORS FOR AECT LEADERSHIP INTERNS. The Leadership Development Committee (LDC) is looking to create a Mentor pool for our emerging leaders identified through the AECT Leadership Internship Program. We invite you to apply to be a Mentor by filling out this short questionnaire. We anticipate being a mentor will take 1-3 hours per month. The following resource will provide you with an introduction to what being a mentor for AECT is all about. AECT Intern Mentoring Guidelines. In addition, the LDC is sponsoring a workshop at the 2017 International Convention in Jacksonville titled Everything You Wanted to Know About the Mentoring Relationship* (*but were afraid to ask). This workshop is being offered on Tuesday, November 7 from 9am – 4pm. We suggest all those interested in being a mentor attend the workshop. Please send any questions about the mentoring program to the AECT Leadership Intern Coordinator Megan Murtaugh. AECT AWARDS. Do you know someone who has made a lasting impact on the field of educational communications & technology? Someone who’s innovative and creative. Someone who is an outstanding leader in the field. 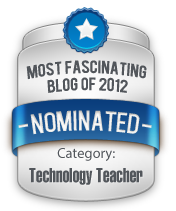 Someone who has dedicated his or her career to AECT and furthering the field. Recognize their achievement by nominating them for an AECT organization award! Nominations are due by August 15. Visit http://aect.org/awards to learn more about the awards and to submit a nomination. NEW AECT-TCET PARTNERSHIP. The AECT-TCET Partnership would be to serve as a mutual professional association sponsor. TCET will be promoting the effective use of educational technologies to improve learning and instruction at all levels and for all learners. TCET will conduct an annual meeting with leading representatives from academia, industry, and government on how educational technologies are transforming learning and instruction. For additional information contact Lin Lin. AECT PRIVACY POSITION STATEMENT. The AECT Leadership has approved a new position statement. This new statement is available on AECT’s website. Check it out and send it out to leaders in your area! RICHARD B. LEWIS MEMORIAL AWARD. Do you know a school or system, public or private, you’d like to recognize for outstanding technology integration and media utilization programs? We’re seeking nominations for the Richard B. Lewis Memorial Award for Outstanding School Media and Technology. Nominations are due August 15, 2017. For more information, please visit AECT’s website or contact Leslie Blatt. And you can follow SMT on Facebook. NEW AECT/SPRINGER BRIEF. The 7 Transdisciplinary Cognitive Skills for Creative Education by Danah Henriksen. This book focuses on rethinking creativity for 21st century education. The specific emphasis examines the way that creativity spans disciplines, through a set of common thinking skills that the most accomplished thinkers in any field use. 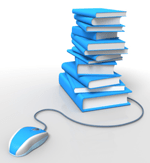 Check out all the AECT/Springer Books & Briefs titles available. Bookmark the AECT website and make it your go-to place for information about your professional association. Check in often. There’s always something new!